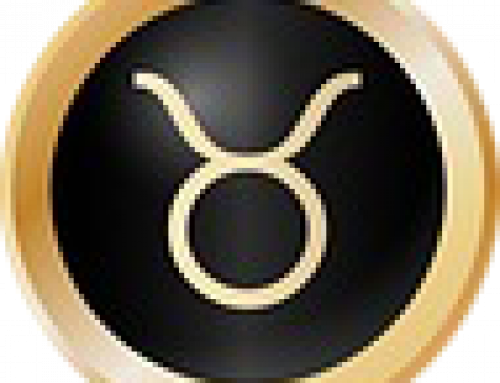 Get out and circulate, Taurus! The Sun is in Cancer and your social third house until July 22, putting you in the mood to mingle. With el Sol in your communication house, you’ll be a-buzz with ideas and eager to share your thoughts. After a hardworking June, reward your productivity by enjoying lively parties, industry events and catch-ups with your crew. Hanging out will not only inspire you, it could connect you to new kindred spirits. Some of the people you meet may become fast friends or collaborators before the end of the year. You never know what talking to strangers can lead to, Taurus. And this month, expecting the unexpected is actually a smart policy. July kicks off eclipse season, a time of rapid changes that can bring sudden and unforeseen events. Eclipses sweep in four to six times a year and reshuffle the status quo, removing anything that no longer serves you and catalyzing fresh starts. Two of this summer’s three scene-shifting eclipses fall on July 12 and 27, and the final one is on August 11. The first, a partial solar (new moon) eclipse, lands in Cancer on July 12, activating your third house of communication and ideas. Everything from the way you express yourself to the message you’re conveying is suddenly up for review. You might rethink your circle of friends and acquaintances. Do they reflect positively on you? Are your relationships balanced in terms of give and take? If not, circumstances could force you to speak up and demand more equitable terms. The third house rules neighborhoods and local events, and with a potent eclipse activating yours, you could become more involved in your area. Is it time to organize that block party or pop-up event that brings your community together? Solar eclipses mark bold beginnings and can set us on a whole new (and uncharted) path. This one is the inaugural eclipse in a series that will fall on the Cancer/Capricorn axis between now and July 2020 and initiate a wave of changes around the way you think, perceive the world and express yourself. This is the only eclipse in this sequence in 2018; the rest will occur in 2019. But you’ll get your first taste of the action now. Conversations held at this eclipse could unfold into a bigger story over the next six months. Feeling the sparks of synergy? Test your chemistry on a small project, in which you can explore whether the magic has real potential. While this is just a “sneak preview” of the changes that will take flight in 2019, it will still be an intense start! The Sun and new moon are exactly opposite power-tripping Pluto in Capricorn and your outspoken ninth house. Once you open the floodgates, prepare to hear—and deliver—some unvarnished truths. But keep it civil! You might want to set clear ground rules before delving into a sensitive subject, since shadowy Pluto makes you prone to pushing buttons and projecting blame. No matter how angry someone makes you, do NOT go for the jugular. Take a deep breath, refrain from reacting, and notch a win by staying composed. All of your relationships will start to accelerate near the first eclipse, because on July 10 expansive Jupiter will end a four-month retrograde in Scorpio and your partnership house. Jupiter is in Scorpio from October 10, 2017, until November 8, 2018, a yearlong cycle that only happens once every 12 years. You’re growing by leaps and bounds in your closest ties, either by experimenting with a different “type” of person or commitment or by becoming more open and supportive. Single Bulls could meet someone who takes your breath away and actually has long-term potential. 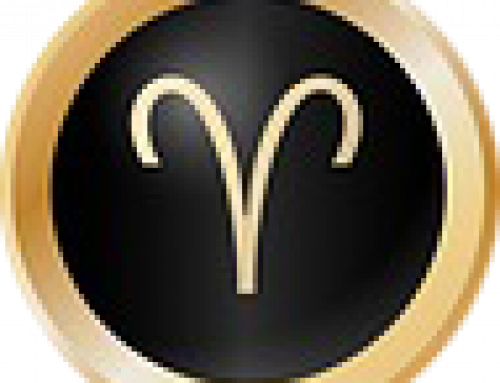 Between now and November 8, you might meet someone special while traveling, relocate for love or try a long-distance relationship, something that’s usually a firm “no” for sensual and physically oriented Taurus. Couples could have a renaissance period filled with travel, learning and rekindled curiosity about each other. No matter how long you’ve been together, there’s always more to discover—and if you don’t believe us, book an adventurous trip somewhere neither of you has ever been. Globetrotting Jupiter will happily play travel agent! Or try the scientifically proven method of “love regulation“: A study found that people who looked at a picture of a current or past partner while thinking positive thoughts reported feeling more attached to that person. So if you’re seeking relationship repair, tap into optimistic Jupiter’s powers and think grateful thoughts. You’ll get back in touch with your feelings on July 22, when the Sun leaves your social-butterfly sector and lands in Leo for a month, lounging in your fourth house of home and family. This is your annual domestic period, a time when you might crave more solitude or the company of your closest loved ones. Hunker down and work on a household project, then catch up on nesting and resting. Slip off to a country cabin or bliss out at a beach house. This is an especially good time to visit a favorite nostalgic spot with your S.O. or clan. But careful: From July 26 until August 19, communication planet Mercury will be retrograde in Leo. While this period can be lovely for reunions, it can also disrupt communication, technology and travel. You’ll need to triple-confirm any reservations—and think twice before inviting any difficult divas along out of guilt or a sense of obligation. They’re practically guaranteed to wreak havoc on your well-deserved vacation. Another volatile spot this month could be career, which is rattled by both a retrograde and a total lunar eclipse. Ambitious Mars is reversing through Aquarius and your tenth house of professional endeavors from June 26 to August 12, potentially driving up frustration and confusion around your goals. An opportunity that was progressing swiftly could be put on the back burner. Although you’ll be frustrated, use this delay to make sure YOUR plans are as airtight as possible. Since retrogrades bring back the past, you could reboot a business venture you’ve set aside or reconnect with a former colleague who can open doors. You might also rethink your whole path now—why ARE you working so hard anyway, Taurus? With Mercury, Mars, Saturn, Neptune and Pluto all retrograde at the end of July, this is a time best used for tying up loose ends and handling your business behind the scenes rather than rushing ahead. But that lagging wagon could suddenly jerk forward on July 27, when a total lunar (full moon) eclipse lands in Aquarius, bringing unexpected change and a surge of energy. This eclipse will be conjunct with fiery Mars retrograde, so buried frustrations with work could come boiling up. You might be tempted to just rip the bandage off and declare “I quit!” or to unleash some fire. If you’ve been avoiding dealing with a project or professional issue, there will be no more burying your head in the sand. Change could happen fast, and for some Bulls, a job or client could be “eclipsed” away. If that happens, take it as a sign that it wasn’t a good fit. While you may be rattled, you probably won’t be shocked. This is the final Aquarius eclipse in a series that’s been touching down on the Leo/Aquarius axis since February 2017, transforming both your personal and professional arenas and shifting your work/life balance. Look back to the prior two Aquarius eclipses on August 7, 2017 and February 15, 2018 for clues of what might fully come together now. As you’ve cleared the space for Taurus 2.0, you could finally be ready to step into a new and prestigious role—one befitting your power! With passionate Mars retrograde in Aquarius and your future-oriented sector all month (from June 26 to August 27), you could have second thoughts about “going the distance” with your amour du jour. This could lead to constant bickering or a major disagreement about how to plan for a shared life together. This realm also rules your career, so you might become consumed with work, either spending excessive time there or bringing some of the pressure home with you. Venus is opposing Mars in Leo until July 9, urging you to at least try to turn Chez Toro into a stress-free zone. Ramp up the self-care and be extra gentle with yourself (and your partner). If you’re in a newish relationship, you might be thinking about taking a big step, like exchanging keys or moving in together. But with Mars retrograde, take your time. Before you give up the lease on your sweet apartment, start with a toothbrush and toiletries and MAYBE a drawer of your own. Vixen Venus glides into Virgo (July 9 to August 6) and activates your fifth house of flirty fun, upping the passion in your life, whether you’re single or attached. During the month, Venus will form flowing trines with three planets, all of which can rekindle sparks in your love life. The first “hit” is to innovative Uranus in your sign (July 11), which could inspire you to break out of your confining comfort zone and do something that may disrupt the status quo. Unless you’re 100 percent happy with the status quo, this can only be a good thing! On July 14, Venus connects with structured Saturn and then with transformational Pluto (July 27) in your expansive ninth house. You could feel strong chemistry with someone from a very different background or just be more open and accepting of a partner’s differences. It’s a good time to take a trip—or at least start planning one for later this summer. Structured Saturn brings a sharp-eyed reality check and can interrupt some wild fantasies. If you’re preparing to take a decisive step forward in your love life, make sure you’re not cutting any corners. Ease up on the gas, Taurus. Hasty Mars has slowed down into retrograde motion from June 26 to August 27. Until August 12, the red planet—which rules ambition, drive and courage—is backstroking through Aquarius and your tenth house of career. Plans that heated up when Mars first entered Aquarius on May 16 could hit a speed bump now. A key decision maker may be on summer vacation, or your own enthusiasm could wane. Retrogrades are a time to step back and rethink or revise. This seeming setback might turn out to be a blessing in disguise if it gives you the chance to correct course—or dodge a disastrous deal. Use the time to pursue other options or negotiate a better deal. The June 27 total lunar eclipse in Aquarius can help you make sense of things, fast. An issue that’s been percolating for the past six months could reach a swift turning point. Since lunar eclipses bring sudden manifestations AND transitions, you may switch careers, be tapped for a leadership opportunity out of the blue or attract high-profile attention for your expertise. This supercharged full moon can also “eclipse” a person or situation away, making room for the new. Your company could restructure, or a key person could exit without notice. Even though change can be disorienting (especially for your rooted sign), you may have no choice but to adapt. Roll with it, Taurus, and trust that something better is headed your way. Two weeks prior, on July 12, the month’s first eclipse—a partial solar eclipse in Cancer—activates your third house of communication. An idea or conversation sparked now could play into upcoming shifts. You may have a total a-ha moment about what you’re meant to do, or you could meet someone who becomes an important player in your next big venture. Stay alert to the people who enter (and depart from) your circle this month! Just conduct your due diligence before rushing into anything since communication planet Mercury is retrograde from July 26 to August 19, a time when signals can be scrambled. Be certain you have the whole story before rushing ahead. Sticks and stones can indeed hurt people, so choose your words selectively. As manipulative Pluto collides with the Sun in your communication corner, power struggles and personal agendas can materialize. Watch what you say online and IRL.